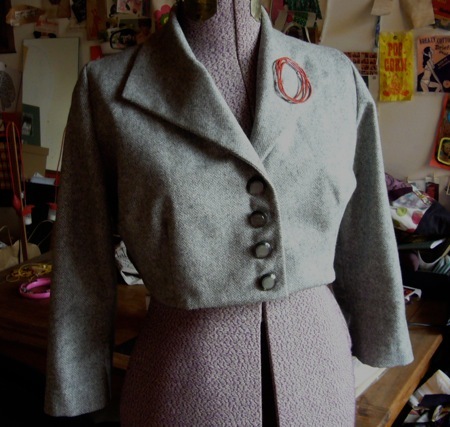 Winter is a season of sewing senescence at my place because my house is largely unheated and my sewing room is Siberian. 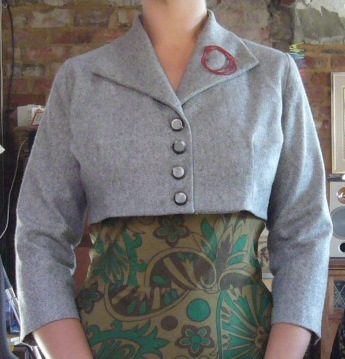 I can’t face sitting at the machine in there, not to mention shedding my many layers to fit garments-in-progress. But I do go in there and potter about, stroke the pretty things in the stash and whittle away at the junk. 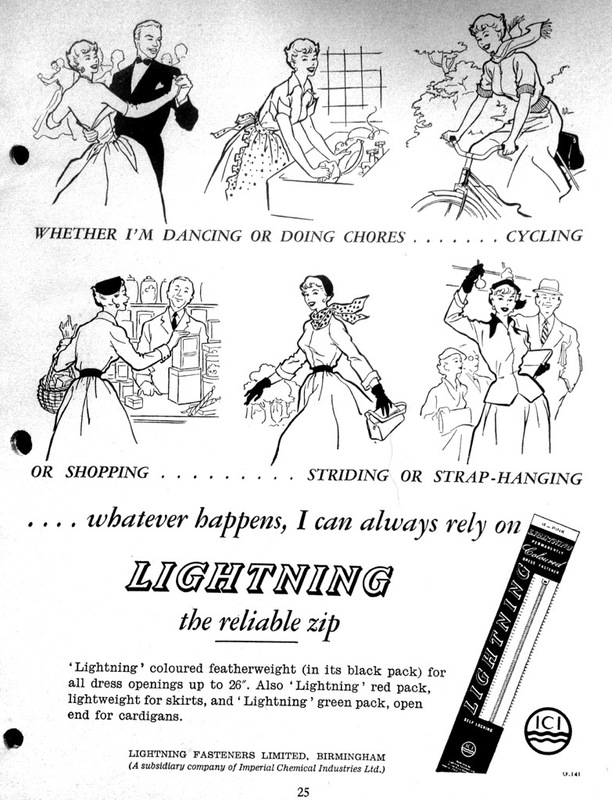 I found this ad in an old Sewcraft magazine last night and it tickled my fancy because I have a bunch of old Lightning zippers in their original packaging. A zip that is unfazed by strap-hanging! That’s my kind of fastener. I pulled some ugly things out of the stash, too. 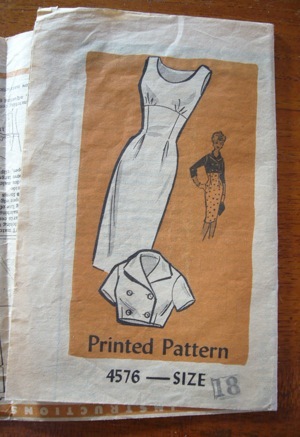 I read a very sensible sewing blogger’s declaration that she never, ever sews with fabric she doesn’t love because otherwise when things go awry, she won’t bother rectifying the project. Wise words and I’m sorry I can’t properly attribute them because I forgot who wrote them. I’ll add this to it, too – sometimes leaving things you love in the stash for too long means your tastes change and you don’t like them anymore. 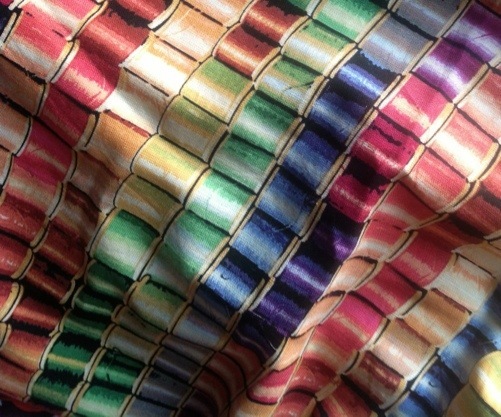 To wit: this quilting cotton with reels of thread. It still sorta amuses me but I can’t imagine wearing it, yet several years ago I thought it was hilarious and I had all kinds of stunt frock plans. Now I think it’s best that I eBay it. Maybe that’s what winter is for – raking and pruning and composting while everything’s dormant. Buuuuuut, I have actually been sewing a little bit – things that don’t need trying on, such as quilts to diminish the scraps pile. 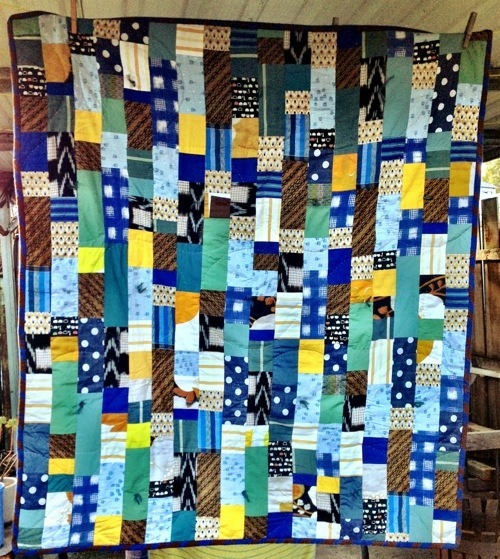 Here’s the latest in the series of quilts for babies. I’ll be delivering it to its new owner (and she’s very new, just 2 days old) as soon as her mother is up for visitors.